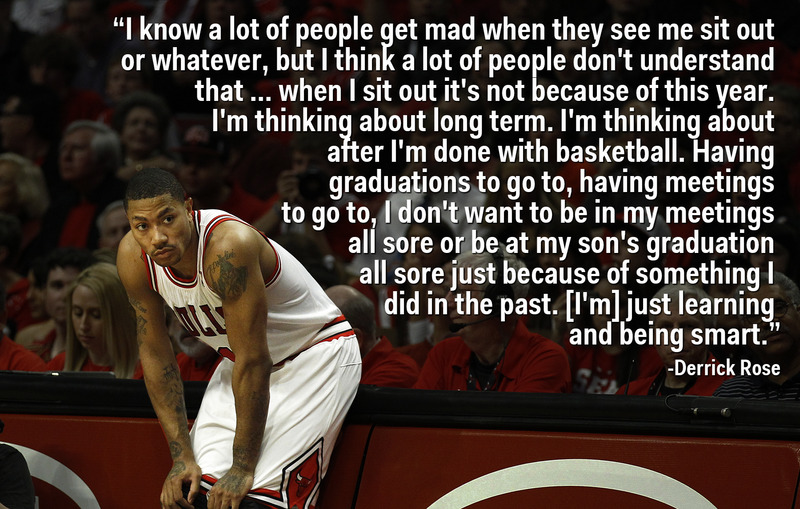 ReutersDerrick Rose tore his ACL 4 months after signing a huge contract extension. In Dec. 2011, just months after leading the Chicago Bulls to the Eastern Conference Finals for the first time since Michael Jordan and becoming the youngest ever to be named NBA MVP, Derrick Rose signed a 5-year, $US94.3 million extension. Since the start of the 2012-13 season, Rose has made $US36.7 million and played in just 15 of the Bulls’ 193 games. But then this season started and so far Rose has played in just five of the Bulls’ 12 games. Those comments angered a lot of fans and even former basketball players such as Charles Barkley who called Rose’s comments “disrespectful” to people who make a lot less and either work a lot harder or risk a lot more. 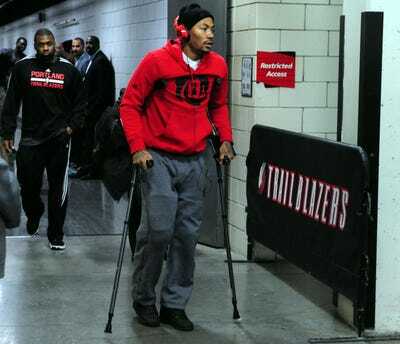 Insurance covered about 40% of Rose’s salary while he was injured. But insurance isn’t helping the Bulls now and his $US18.9 million salary still takes up a huge chunk of the team’s salary cap space. Even with some cap space coming down the road, the Bulls will have trouble luring superstar free agents who will almost certainly be scared away by Rose’s injury history and the size of his remaining contract which is $US41.4 million for the next two seasons. That’s a lot of money for a guy that spends more time on the bench than on the court.